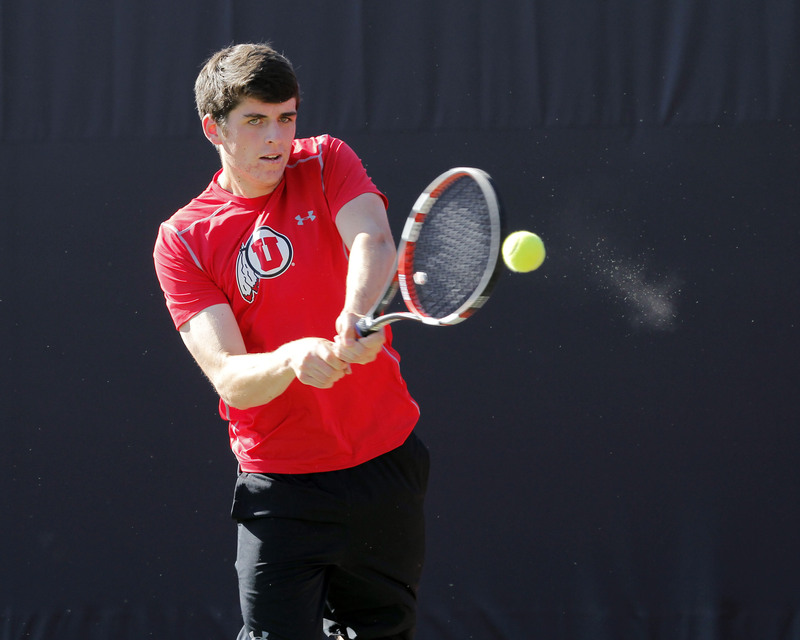 Albuquerque, NM – Freshman Dan Little continues his impressive run into the finals of the 2015 ITA Regional Championships in Albuquerque, New Mexico. The Brit needed three sets to defeat 12th seeded Yannick James (Denver) in the semifinals, 6-4, 6-7(4), 6-3. Matt Cowley fought bravely, but was unable to make it an all Ute final. The senior was two points away from the victory over 2nd seeded Diogo Rocha (Denver), but ended up just shy, 7-6(4), 1-6, 5-7. Little and Rocha will square off Sunday at 10am in the finals. The winner will earn a spot at the 2015 ITA National Indoor Championships in New York, November 12-15. In doubles play, sophomores Santiago Sierra and Freddie McGeehan fell short against top seeded Hayden Sabatka and Bart van Leijsen (New Mexico), 6-3, 6-2 in the semifinals. This entry was posted in Schedule/Results and tagged Albuquerque, Dan Little, Freddie McGeehan, ITA Regionals, Matt Cowley, New Mexico, Santiago Sierra. Bookmark the permalink.